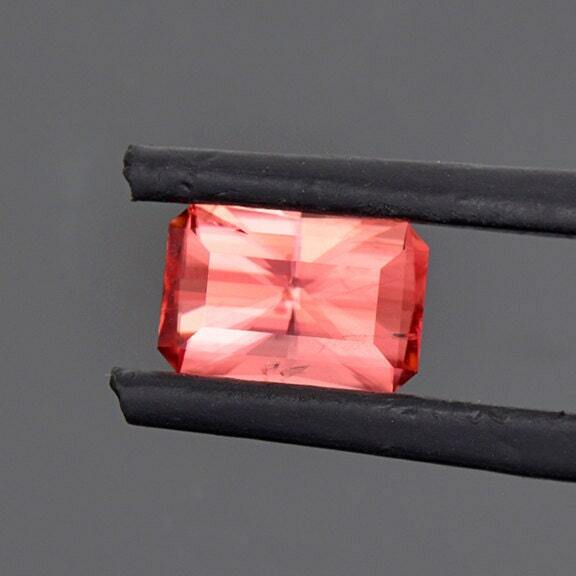 Excellent Pink Red Rhodochrosite Gemstone from Brazil 2.48 cts. Size: 10.08 x 6.57 mm. Here is something new! This Rhodochrosite gem is from the famous Pederneira Tourmaline Mine in Brazil. 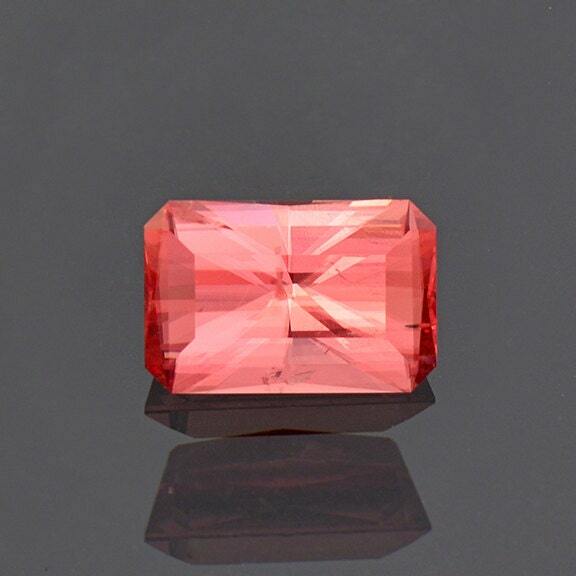 Rhodochrosite is a rare occurrence from this mine and facet grade material is extraordinarily rare. This quality is on par with the best from the Sweet Home mine in Colorado, which is great praise. The stone actually shows dispersion under certain light conditions, which flashes of blue throughout the stone. 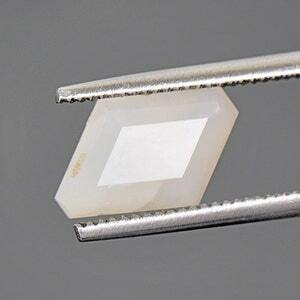 You can easily see the strong birefringence with this nice radiant emerald cut. 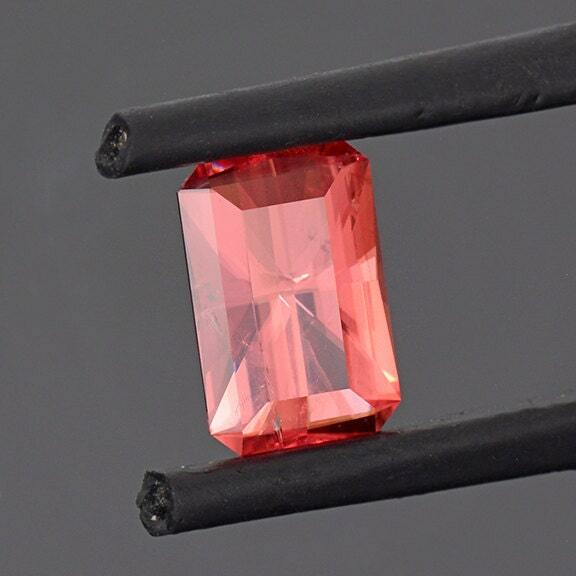 The clarity is excellent for Rhodochrosite which tends to have many inclusions. This stone is stunning in hand and is an esoteric collectors gem from Pederneira. 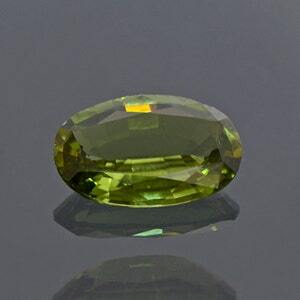 This gemstone was faceted by Allyce Kosnar of Kosnar Gem Co., During September 2016. Enjoy! 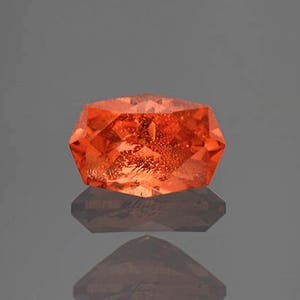 Rare Excellent Orange Pakistani Bastnasite Gemstone 3.82 cts. 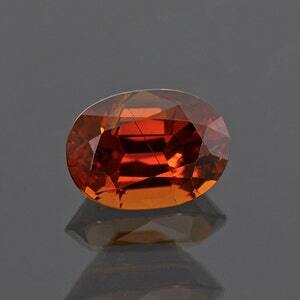 Ultra Rare Xonotlite Gemstone from Italy 2.51 cts. 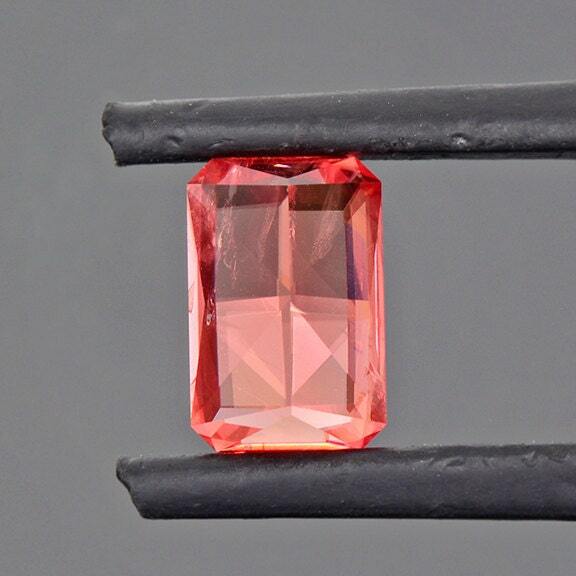 Excellent Rare Bright Orange Triplite Gemstone from Pakistan 1.41 cts.